Decking products are essential racking system components providing carton and pallet support, mezzanine flooring and overhead protection. Materials can include wire mesh, resin & composite surfaces, corrugated & B-deck, bar grating, safety decking and more. 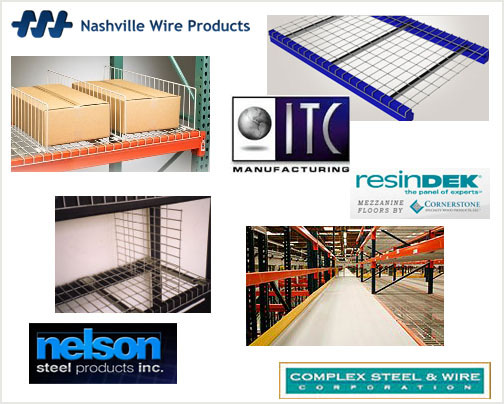 With the same care and attention dedicated to your racking design, Morrison Company will specify the best, most cost-effective decking products for your system application, relying on proven partnerships with leading manufactures such as Nashville Wire Products, ITC Manufacturing, Nelson Steel, Complex Steel & Wire and ResinDek®. Safety and functionality are what we do!